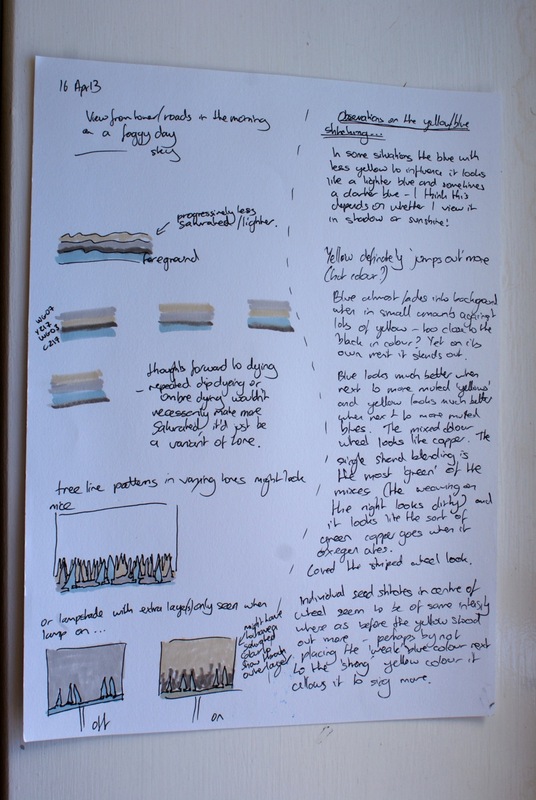 Notes on colour schemes and planning out Stage 5’s embroidery. I’m also really thinking about going to the Tate Modern’s Lichtenstein exhibition! Here I’ve been pretty inspired by the views from my work (I’m an air traffic controller and sit in a tower, looking out of windows all day). 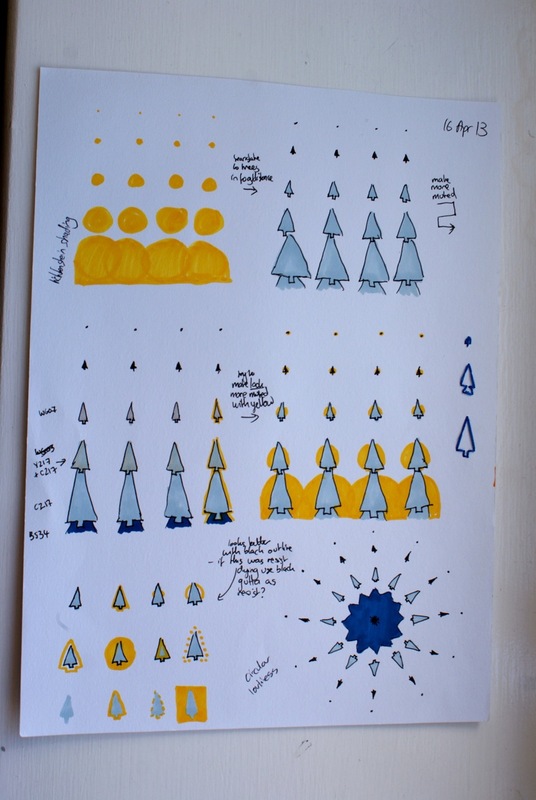 My colours were mainly decided by the pens I had brought to London with me! A repeating theme in my sketches has been tall thin evergreen trees which were a large feature in our honeymoon to Finland. I used to think that fat wide christmas trees were the best proportions but our week in the arctic circle surrounded by such beauty changed that! 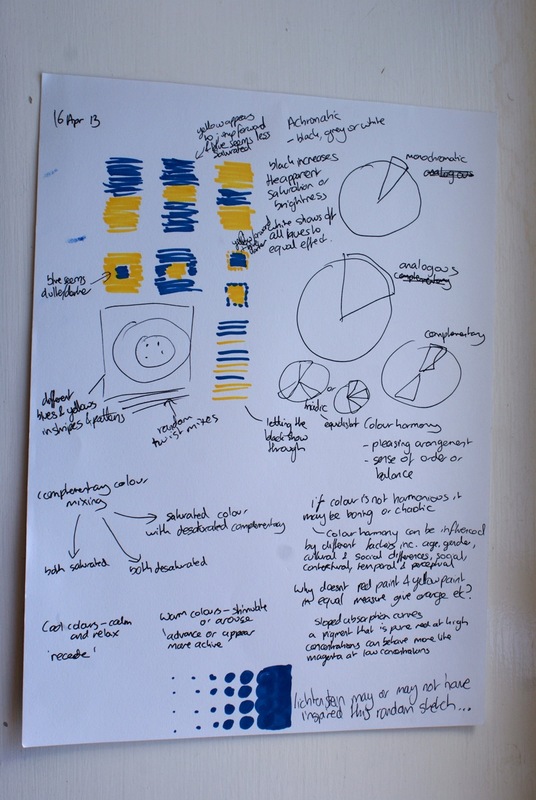 On the right are emerging observations from my blue and yellow stitching I’m working on for Stage 5. I’m really not loving working with primary colours as I find it hard to look through the brightness to properly see the effects! 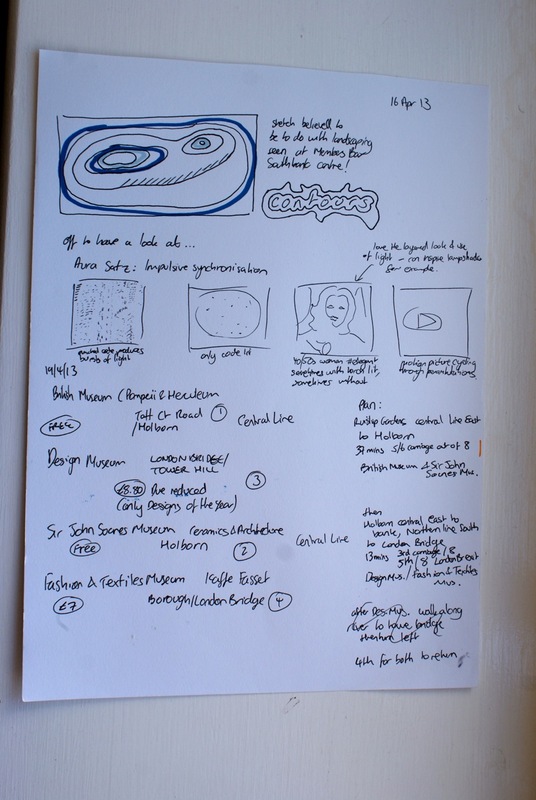 This is some sketches from visiting the South Bank Centre where I became a member. 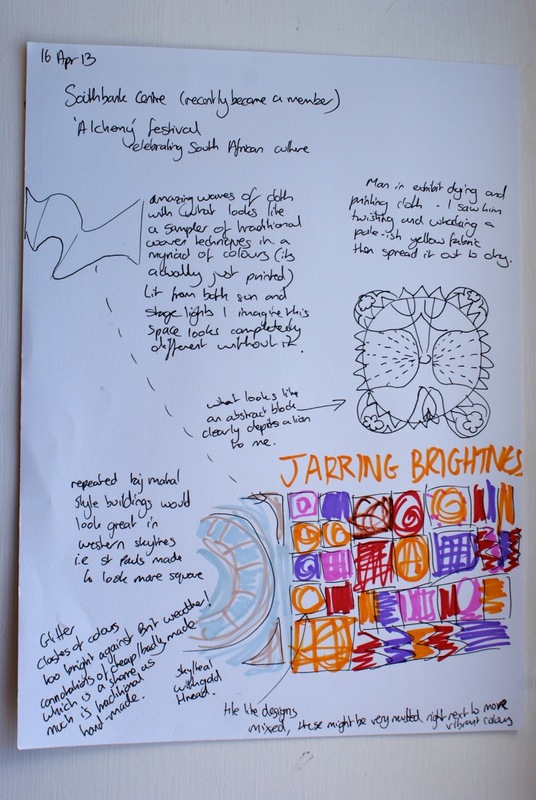 The theme of the month was the ‘Alchemy’ festival which was celebrating South African culture. Again, bright bright, primary colours which were deliberately being clashed..! But lovely watching some traditional dyeing, looking at the patterns and admiring the quilting. And this was the result of some of that museum filled day. 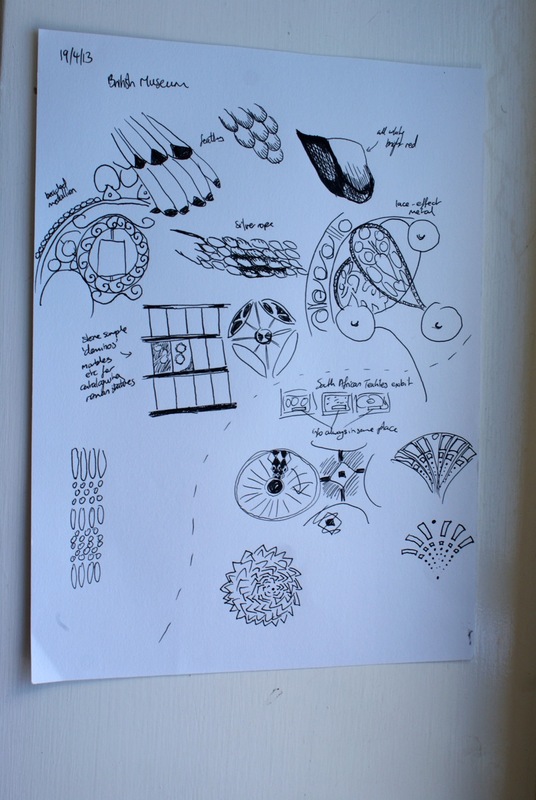 Not much sketching to show for it all but I was certainly inspired!